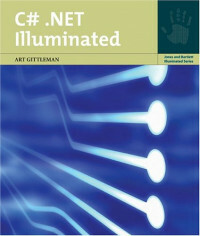 C#.NET Illuminated uses Visual C# for rapid application development. This approachminizes the amount of code the reader needs to write while providing access to the powerful .NET library. Sending e-mail, playing games, and buying books are just a few of the many uses for our computer. With powerful tools we can learn to create computer applications ourselves. The C# language and Visual Studio .NET are two such powerful tools,both of which are introduced in this chapter. C# is a general-purpose programming language that lends itself to many programming styles. Visual Studio .NET is a development environment that makes it easy to develop applications for desktop computers, mobile devices, and the Web. The style of these applications frequently is event-driven, presenting an interface with which the user interacts.